A child’s imagination is sacred. They can turn a toilet roll tube into anything from a telescope to spy on their siblings to an obstacle course for the fairies at the bottom of the garden. Sharing in the adventures of your children is precious time we all know will soon run out but the reality of life means that often we just don’t have time to indulge. 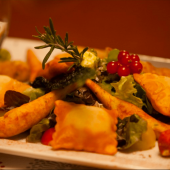 The annual family activity holiday is that perfect opportunity. No work distractions, no housework - just pure quality time with your kids. 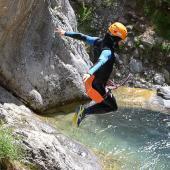 We have been running alpine activity holidays for families for 10 years and after listening to feedback from our clients, have come up with our top activities list for the best shared adventures together en famille. 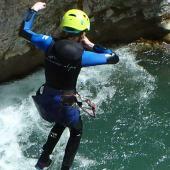 We’ve chosen activities that provide the best opportunities for stretching that precious imagination to it’s max rather than go for the obvious adrenalin activities like canyoning or rafting – not that they aren’t great too – just in a different way! Do this self guided to make it a real adventure. You’ll be dropped off at the top of the river with your kayaks, waterproof container with picnic, towels, suncream and mobile phone and left to your own devices to get to the end of the river where the get out point is! 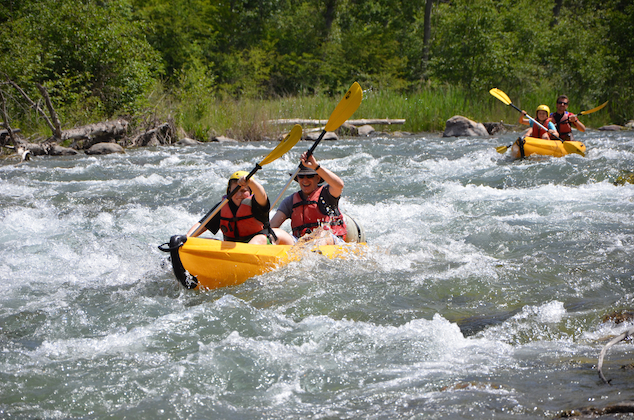 The kayaks for this sort of trip are the very stable sit on top kayaks that are almost impossible to tip over and the river is a grade 2 river with flat sections and easy rapids. 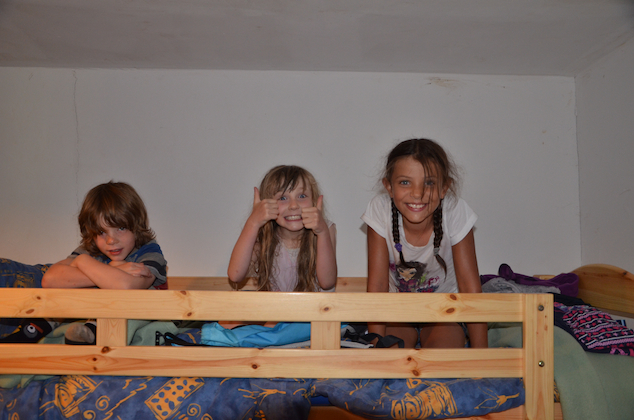 Around every corner there is a surprise; the beavers’ cabin, the frogs’ chorus emanating from the reeds, a secret beach where you can get out and explore, a narrow bit under an archway taking you into a new enchanted universe…..
Let your kids create their own stories, games and adventures as you go down and go with it. It's 'Swallows and Amazons' alpine style! The woods have always been the home of magical mysteries and tree climbing is a natural child’s sport! Who doesn’t remember that desire to climb up into the beautiful green leaf canopy above our heads and spy secretly on everyone down below. Tree climbing is now an official sport and set up with ropes and harnesses you can climb higher than you ever dared before and really get to the very top of the tree. It is not the same as high ropes adventure which are artificial ropes and obstacle courses set up in trees (also a great activity but not the same). 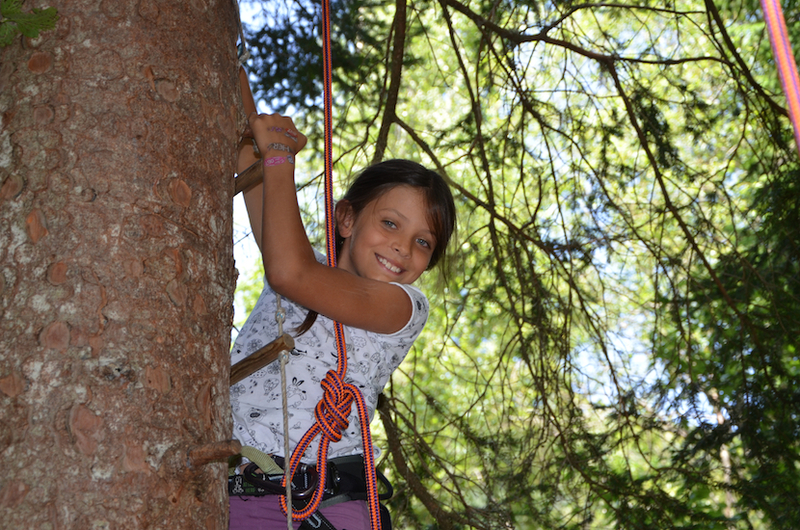 Pure tree climbing is literally just that – climbing trees! For the brave and adventurous, you can also extend your tree climbing experience and spend the night in special hammocks in the trees. Scary for some but a real adventure to let your imagination run wild with the noises of the night animals as they come out to play. The thought of a remote refuge in the middle of the wilds of the mountains is enough to make any child's imagination run wild. The fact that there are a team of people there to cook and look after you makes it even more curious! On the way in there are animals to discover, secret mountain springs, rocks to hop over and scramble up, little wooden bridges (pooh sticks!!?). A vivid imagination will soon distract from the less attractive hour or so walk in! On arrival there is the added challenge of no internet, no phone signal and no TV so nothing at all to distract from the real business of creating stories, games and spending real quality time together. 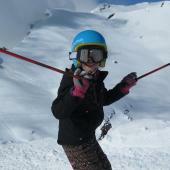 You can combine any of the above with more on an alpine activity holiday.